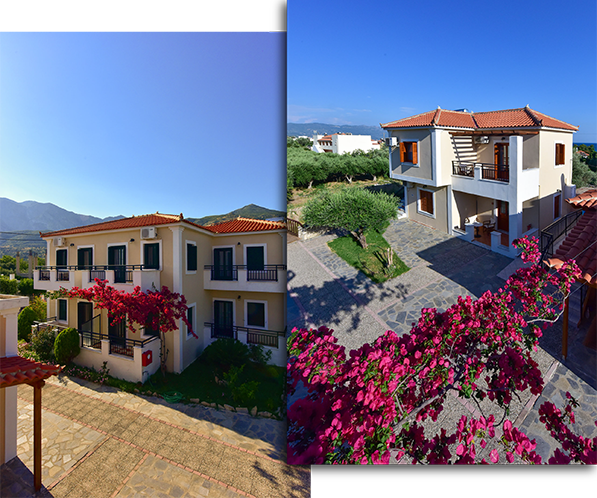 The So Nice Hotel is located in Kampos Marathokampos, one of the most popular areas of Samos island, both for its tourism and its beauty. It is built at the foot of the mountain Kerkis with an altitude of 1433 meters. The main characteristic of So Nice Hotel is the welcoming and cozy atmosphere as it is a family run business. It consists of 10 rooms which can cover all your needs for your vacations. The hotel is just a two-minute walk from the beautiful beach of “Votsalakia” in Kampos Marathokampos. Nearby you will also find the beautiful beaches of Psili ammos, Limnionas, Kaladakia and Mpalos. 33km away from the hotel is the Airport of Samos island, 15km away the port of Karlovasi and 40km the Vathy town.